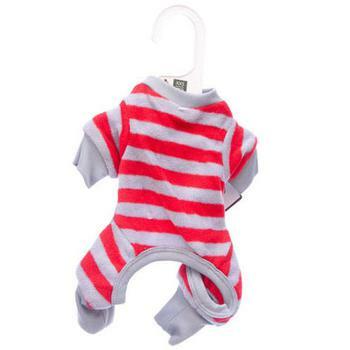 Lookin' Good Striped Dog pj's are designed to keep your pet cozy and comfortable all night long! They are soft, stylish PJs which are machine washable and made from 100% cotton with long sleeves to help keep beds fur-free. These pajamas are designed to fit your dog comfortably and are great for layering for walks in the cold. Sizing: Measure from the base of your dog's neck to the base of the tail.